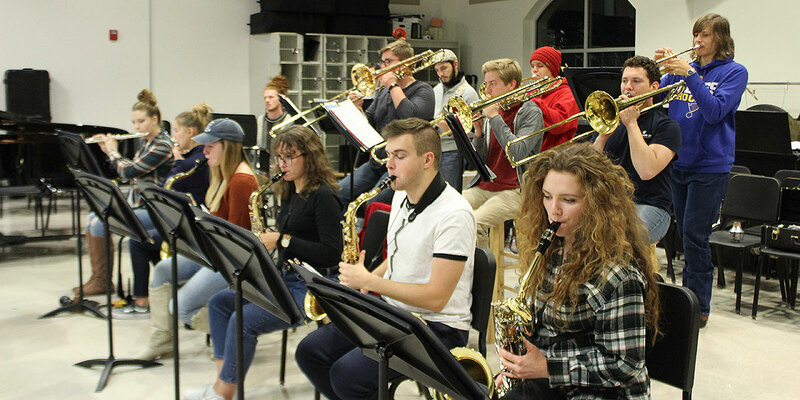 The Missouri Baptist University Jazz Band has grown exponentially under the direction of Shane Williams, who leads the bands at MBU and teaches in the Fine Arts Division. For this band of talented student musicians, the sky is the limit. The MBU Jazz Band rehearses for an upcoming concert. The Jazz Band performs Tuesday, Nov. 27, in the Perk following the Hanging of the Green festivities, and again Friday, Dec. 7, in the Mabee Great Hall, during a private show for donors that precedes the annual Christmas Concert. Faculty and students from Missouri Baptist University’s Fine Arts Division share what makes the division and its departments unique. Opening with Dr. Larry Smith, division chair, a few faculty members describe the Christian values and cultural connections that reflect university-wide expectations. 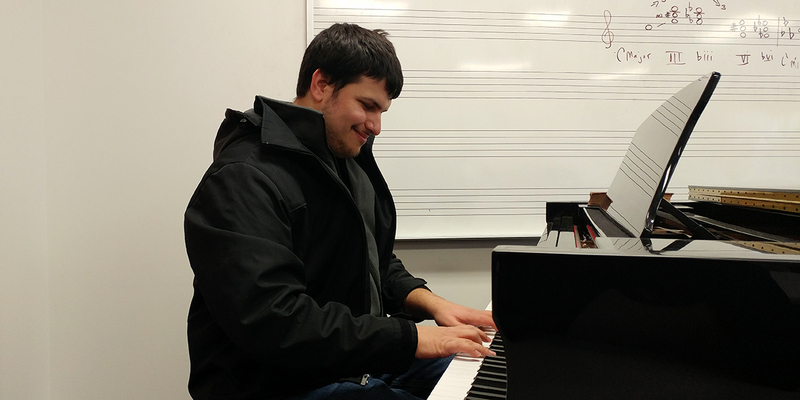 Senior music ministry major and accomplished pianist Sam Heyl finds his purpose through music despite life’s challenges. If you are walking in the halls on the first floor of the Fine Arts Center and hear music emanating from Room 102, most likely it is a SpiritWing rehearsal. For a quarter century the group has been praising God through songs that reflect current and historical culture. 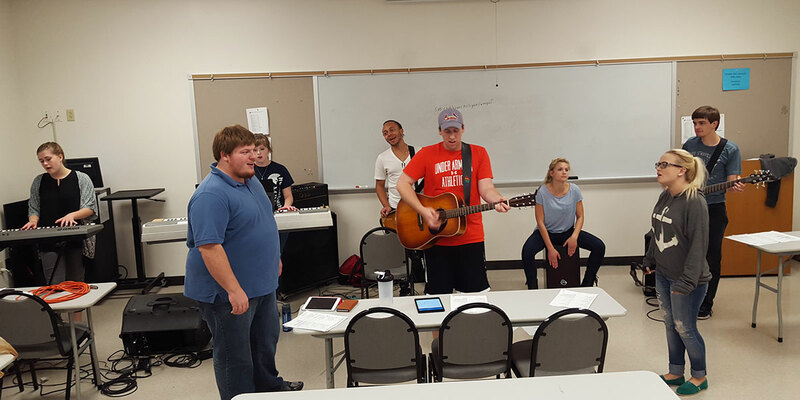 SpiritWing rehearses recently in an FAC classroom. Left to right are Kathryn Hinrichs, Matthew Marshall, Jenalyn Hampton, Austin Johnson, Garrett Grasshoff, Faith Reynolds, Emily Rice and Kenton Park.